Big Peugeot estates used to be the suburbanite load-luggers of choice for those who found Volvo’s 245 too uncompromising and Citroën’s Safaris too, well, other–worldly. The 504 and 505 estates combined attractiveness with carrying capacity – their cargo bays were more spacious than a studio apartment in Kensington. And for a fraction of the price too. The last of that line of Peugeot wagons disappeared from price lists 20 years ago, but now there’s a new ‘five-oh’ estate in the French marque’s line-up. How does it stack up against its contemporaries and its forebears? 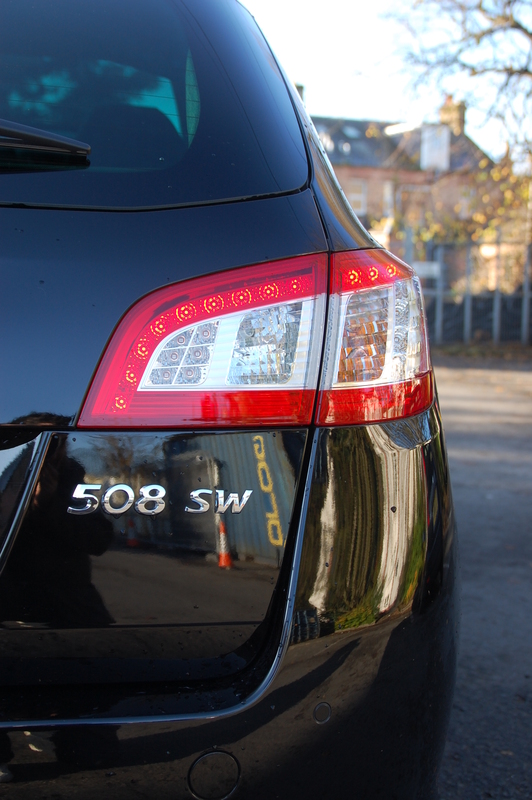 The first thing you’re likely to notice about the 508 SW is that it’s not obviously a Peugeot. This isn’t unusual when a manufacturer has a major change in styling emphasis and has only released one model in the new design language. 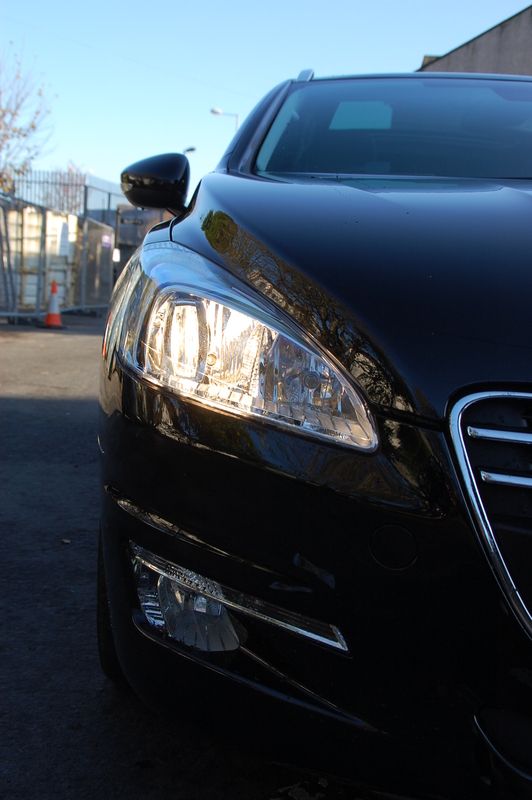 Arguably, the 3008 was a prelude to the changeover, but the 508 is a much bigger step forwards. When you see the just-revealed 208 hatchback for 2012, the 508 makes perfect sense. So, out go the over-sized gaping mouth grille and black tooth brace across it, with the enormous trapezoidal nose-to-windscreen headlights above, and in comes restraint and elegant conservatism. Long-term fans of the brand will recognise these as Peugeot hallmarks of the past. There’s a gentle wave of subtle detailing and grace about the 508’s looks. Bands of bright work are used sparingly about the body to accentuate rather than to make it gaudy, while the body surfaces themselves are relatively crease free too. Doing so without making it look bland is an achievement in itself. In a nod to current trends, the shoulder line is strong and leads to a front wing that is recessed, containing angular headlights at their leading edges and allowing the main bonnet pressing to stand proud. 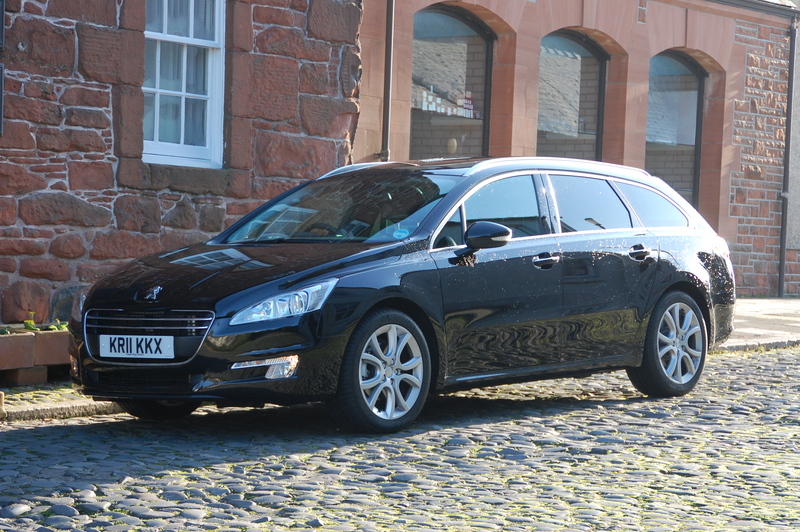 Peugeot estates used to be famed for looking like they needed a driveway the length of the Wirral to park on – not so the 508 SW. Despite its pert-looking proportions, it’s just 9cm shorter than the old 505 wagon at 4.81m. Those older wagons also featured a step in the rear portion of the roof line, which was more obvious than an impending key change in a Westlife song. 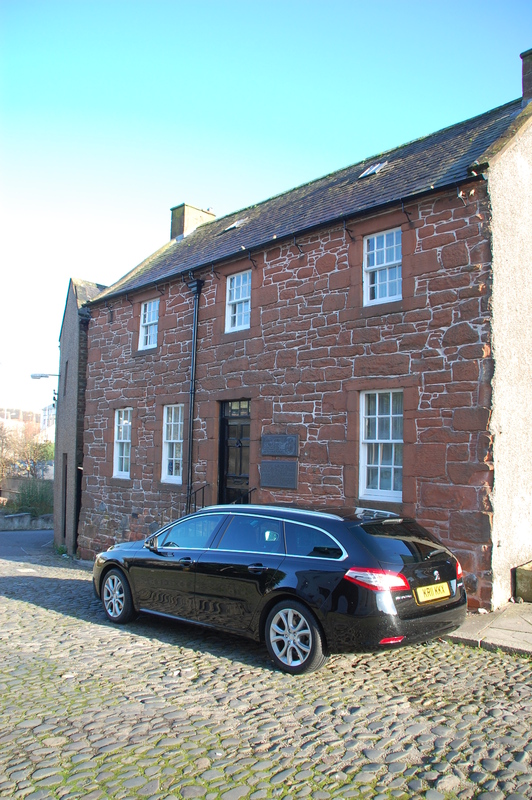 The modern load-lugger eschews the bi-level roof pressing, as gone are the days when such estates were required to have three rows of seats and head room for those rearmost passengers. That’s what MPVs are for, after all. Looks are always subjective, but to my eyes the rear of the SW is resolved in a way that suggests the saloon’s tail was the result of a design compromise. It curves with an un-estate like delicacy from the roofline down through the bumper, disguising its overall length and carrying potential. Sure, that raked rear screen won’t be favoured by those who need to maximise every cubic inch of possible interior space, but that’s where those van-come-cars like the Partner Tepee come into their own. 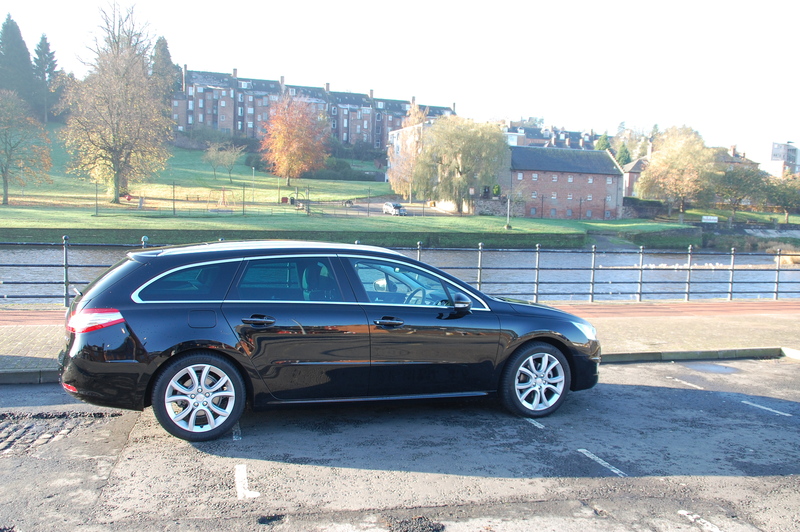 Fact is, the Peugeot 508 SW is a great looking estate, and in a different league from the ‘make it stop’ looks of the 407 SW it replaces. This is a car you could desire, rather than feel you have to accept. Peugeot offers a broad range of 508 SWs in the UK, progressing through Access, Active and Allure trim levels with SR and GT specifications for those wanting a more sporting feel. 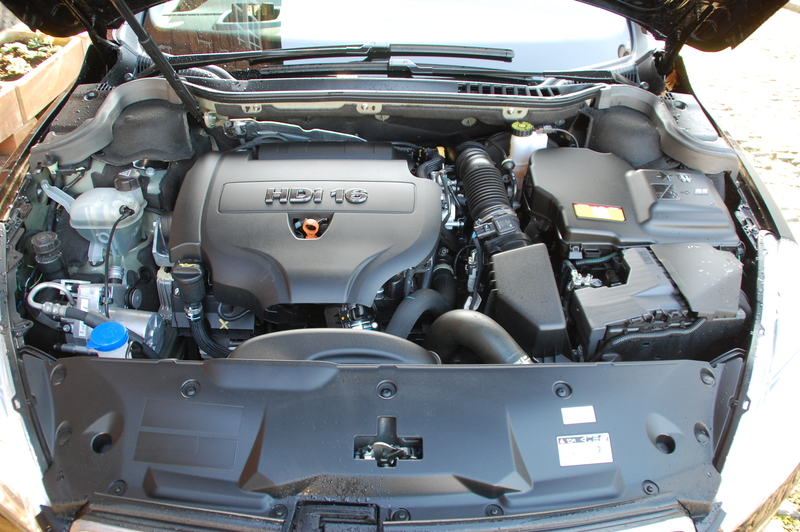 If you like your petrol engines, you may find you want to look elsewhere – only a 4-cylinder 1.6-litre is available both in normally aspirated and turbocharged forms. Dieselphiles enjoy a broader spread of options, though – HDi units come in 1.6-, 2.0- and 2.2-litre capacities in a range of power outputs from 112 to 204bhp. Depending on the model you’ve chosen, power is delivered to the 508’s front wheels via 5- and 6-speed manual gearboxes, or if you’d prefer the car to do the hard work, an automated manual, as well as a traditional automatic, both with six ratios are available. Prices range from the Access VTi 120 at £19,475 up to the GT HDi 200 at £30,275. Solidity and Peugeot were not words you typically found in the same sentence in recent years, but the 508 continues to build upon the foundations of newly launched models. Interestingly, it’s quite a plain design for the interior and doesn’t follow the Audi-esque lines that are found in the 3008. 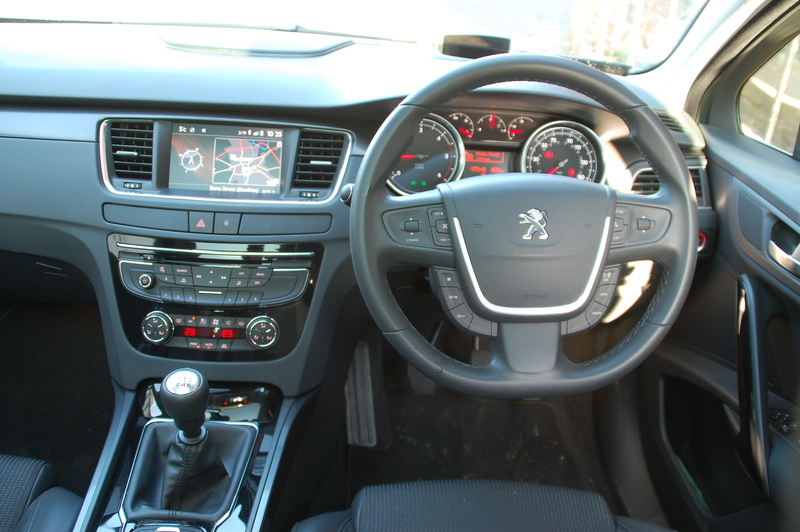 The main dashboard theme is a strong horizontal panel, that houses the instruments in a low-level binnacle, with an optional colour multifunction display screen in the centre, flanked by two vertical air vents. Below sit the controls for the stereo and ventilation, all switchgear working with a satisfying click between settings. Behind the gear lever is an optional mouse-like controller for a number of functions which are displayed on the colour monitor. Like most systems of this ilk, you have to familiarise yourself with it before heading off anywhere as it’s not immediately intuitive and looking down to where your hand brake would normally be whilst driving is not recommended. 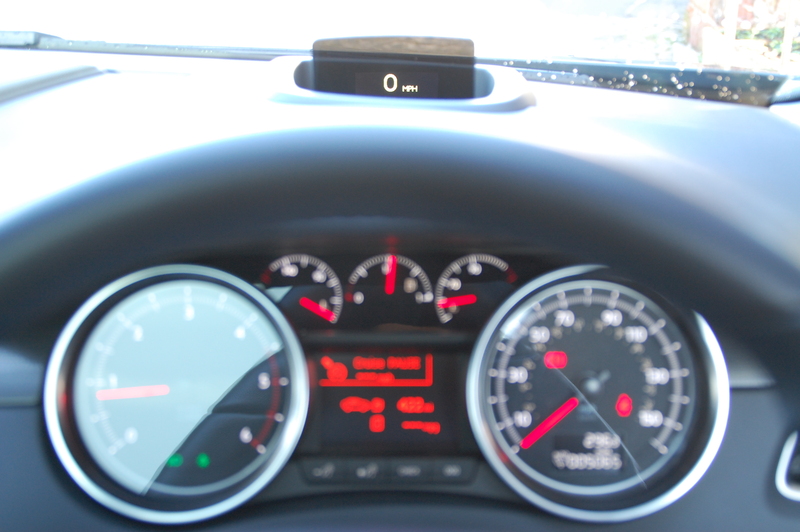 The only particular point of interest on the dashboard is the head-up display unit. 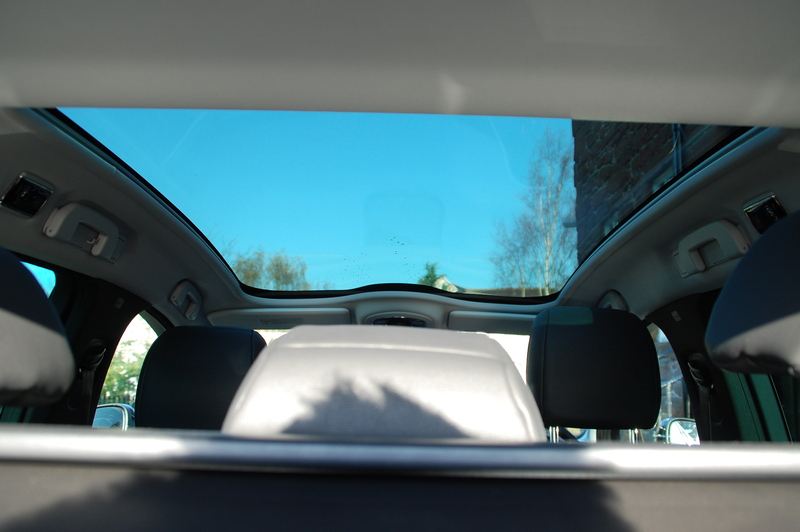 It rises from the dash top in the driver’s eye line, and is optional on Allure models. Rather than project directly onto the windscreen, Peugeot’s system employs a rotating piece of opaque plastic on which messages such as speed, cruise control settings and satnav directions are beamed. It’s easy to dismiss this as a bit of a gimmick and initially, looking at it whilst driving gave me a slight nausea like I suffer when I try and read as a car passenger. That said, I quickly got used to it and was definitely looking at it more than the analogue speedo by the end of the week. As an aside, your eyes focus on it quicker too, being only marginally below the level you’d view the road ahead, so there’s a safety consideration too, albeit a small one. There’s a lot of dark grey and black in this Peugeot interior, which means despite the enormous glazed panel that forms the majority of the roof, it still feels a little gloomy. A paler interior colour scheme would suit the 508 SW so much better and imbue it with a classier feel. Getting comfortable is painless, with electrically adjustable seats moving on six planes, with additional lumbar adjustment also at the touch of a button. 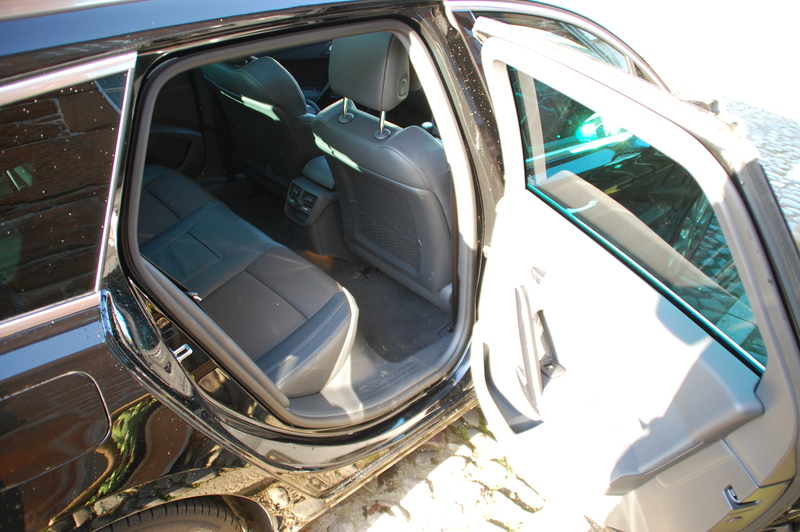 The front feels spacious too, with plenty of room for the body’s extremities. Door cards are also deeply scalloped to allow for additional elbow room, ensuring you don’t feel remotely confined despite the high set centre console between the front seats. Regular readers will know of my appreciation for a well positioned central front armrest – although it slides fore and aft, there’s no height adjustment on the 508’s, meaning it was just a little too low to be truly comfortable. Rear seat passengers will find the 508 SW a pleasant place in which to travel too. The expanse of glass overhead makes it feel very spacious, and with the electric blind fully retracted a few centimetres of additional headroom is liberated too. 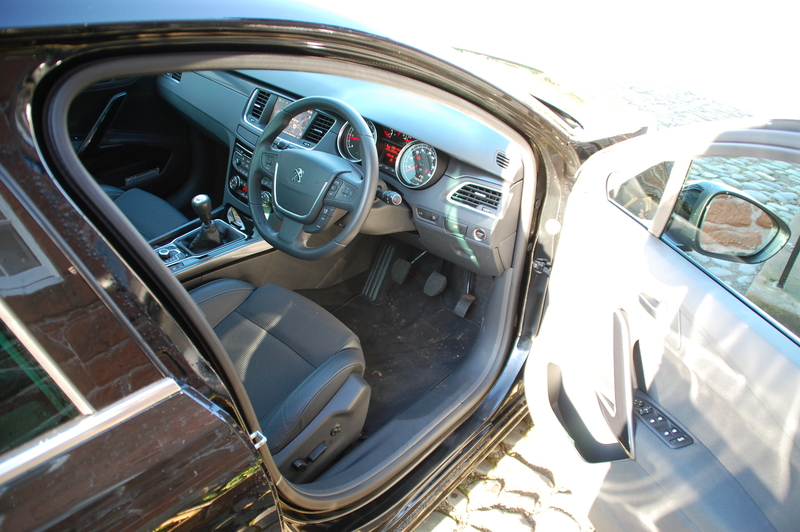 The rear cabin feels wide, with space for three adults, but while the centre rear passenger will enjoy the essentially flat floor and space for their feet to remain attached at the ankles, the actual seat itself is much firmer than the outboard two and could prove uncomfortable on journeys of any great distance. Once you’ve popped open that curving tailgate (the glass remains fixed and doesn’t open separately like on some rivals), you’re greeted with a useful 512l of volume up to the window line. 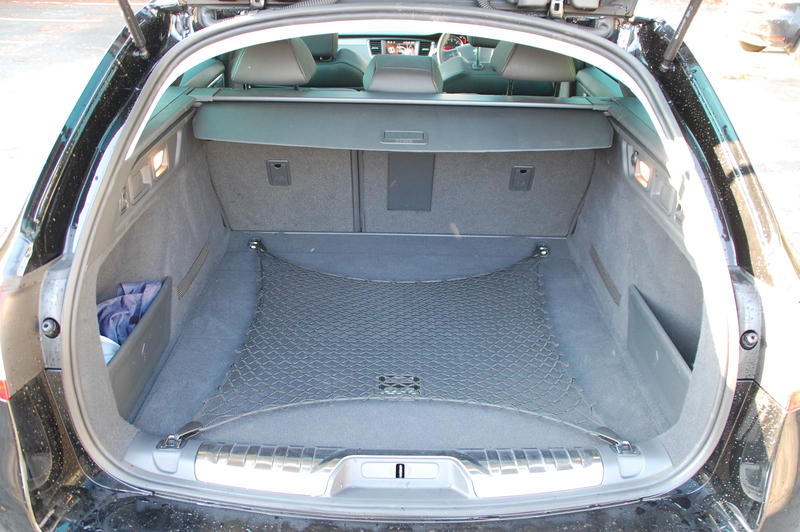 A retractable tonneau cover keeps prying eyes away from your booted goods and a cargo net helps restrain them too. When extra space is required, the rear seatbacks split 60:40, extending the capacity to 1598l, with an almost flat floor. The SW suffix is definitely more representative of Station, rather than Sports Wagon, but Peugeot should feel no inclination to apologise for this. If customers want a hard riding estate that ‘corners on rails’ there are already plenty of alternatives from which to choose. Instead, Peugeot reaffirms what it does best and has endowed the 508 SW with a cosseting, compliant ride quality that wafts with accomplishment, ensuring passengers and luggage arrive unruffled at their destinations. Unusually for a mass-market manufacturer, Peugeot offers two different suspension arrangements on the 508. All models feature a multi-link, independently sprung rear axle, but the top of the line GT models feature double-wishbone set up at the front. Lesser models, like this Allure, make do with more commonplace MacPherson struts. Not having yet sampled a GT, it’s impossible to compare the two, but it’s safe to presume it’s tuned to provide a more engaging, sporting experience; the Allure certainly majors on comfort and more neutral handling. That said, there is a positive transmission between the front wheels and the steering wheel, so you’re never left wondering exactly which direction they’re pointing. Turn-in is crisp and immediate, and despite the compliancy in the ride, it remains composed – there’s no significant roll or pitching during rapid changes of direction or under braking. Whilst the 508 might not be your first choice for wending B-road companionship, you will be glad of it when you’ve long runs that require miles to be devoured with ease. It cruises effortlessly and remains resolutely stable at speed. Inevitably, large estate cars will always have greatest appeal to those who have to travel regularly across large areas of the country doing business, requiring a diesel engine that is refined and economical. The HDi unit under the 508’s bonnet does not disappoint. Pumping out a healthy 163bhp from its turbocharged 2-litre capacity, with a positive thrum, rather than an eardrum pounding clatter, the Peugeot is bestowed with both performance and economy. You won’t exactly be whooshing away leaving those behind you with little to do other than admire those LED tail lights, but you’ll more than manage to keep up with the flow of traffic – the low revs on the motorway indicating there’s still plenty in reserve. 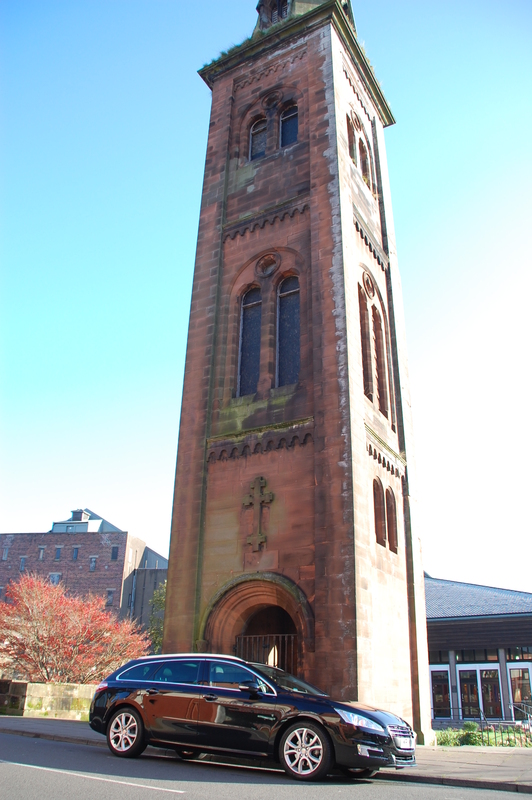 But the frugality is impressive: a claimed official average of 56.5mpg seems well within reach, as a long return drive to southwest Scotland showed – the 508 drank barely half a tank. Like the glamorous RCZ coupé and the generally well-received 3008, the 508 is further proof that Peugeot is regaining the ground it lost that previously attracted customers in droves. In SW form, the 508 manages to combine graceful, if not progressive, good looks with a capacious boot, in such a way that it looks both more svelte and smaller than the 407 it superseded. The ride quality and comfort is impressive, remaining so whether the car is driven one-up or with all seats occupied and the boot loaded to the roof. And although pin-sharp handling wasn’t at the top of the 508 engineer’s briefing list, it nevertheless performs with an engaging degree of aplomb. With a high level of specification, a deep quality feel to the materials and construction and fine fuel economy (combined with a Band D VED rating), the 508 SW warrants a detailed comparison against the traditional default choices of Mondeo and Insignia. For many that choose to do so, the Peugeot will become a firm favourite.